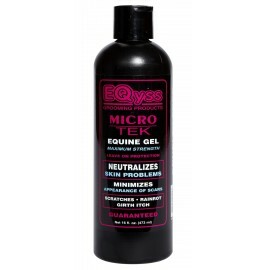 Produits de soins Il y a 76 produits. 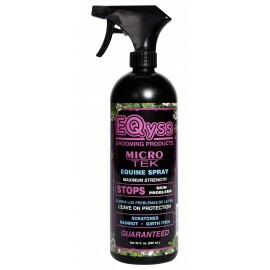 Eqyss Micro-Tec Spray *Fabriqué aux Etats-Unis. 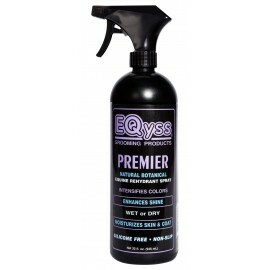 Fast acting, anti-microbial spray that acts on contact providing 24hr 'leave on' protection. 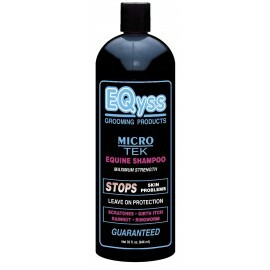 Promotes healthy skin by aiding skin conditions such as, Mud Fever, Rain Scald, Ringworm and Girth Irritation while adding protein to strengthen damaged areas, plus can soothe nettle rash and fly bites. 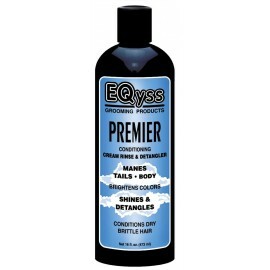 Eqyss Premier Colour Intensifying Shampoo *Fabriqué aux Etats-Unis Premier Shampoo is one of the finest shampoos on the market and produces the most conditioned, moisturized, brightly coloured coat. It contains NO wax, oil, petroleum by-products, silicone or synthetic polymers, which are found in nearly all grooming products.